Took a few more pics of second selection keepers this weekend. Starting to get worried about fin damage from the fish being confined to a section of a cage net - and Amanda finished off the selections today so we could get the keepers into their grow on tank without delay. Overall, I'm happy with the second selection keepers, and the ones I picked a week ago are already growing nicely in their tank. Here are a couple of prettier examples. There are also a bunch with excellent body patterns but with too much red on the head I am having to let them go. Even though I know it's the right thing to do - it's still difficult. I have kept some which I'm not sure about - these have more development risks than the ones I've presented above. It's all part of the learning experience and something I can afford to do while I have tank space. I ran my final spawnings last weekend - and in summary; I ran 3 spawnings; 1 x kohaku, 1 x showa, 1 x shusui. 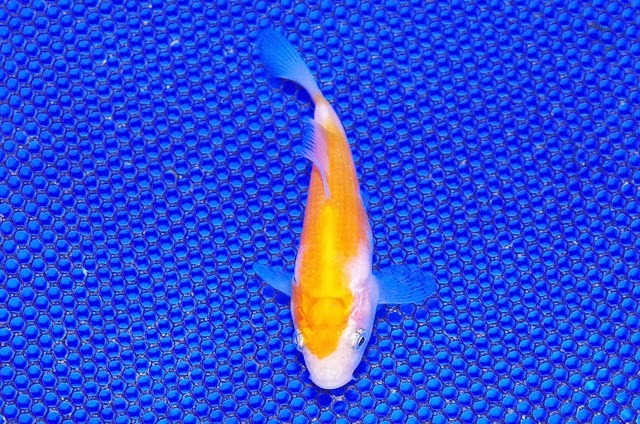 I had a visit from Kevin Paul, who is a friend from the koi show circuit and also gave me the chance to buy some of his males to run with my females last weekend. They were certainly up for the challenge and, with some help from another showa male I picked up recently - all 3 spawnings produced eggs. I've spread the risk by putting some eggs straight into the fry pond outside and rearing some indoors. We'll see how it goes. But one thing's for sure - I'm glad the spawnings are over. It's been a lot of work. 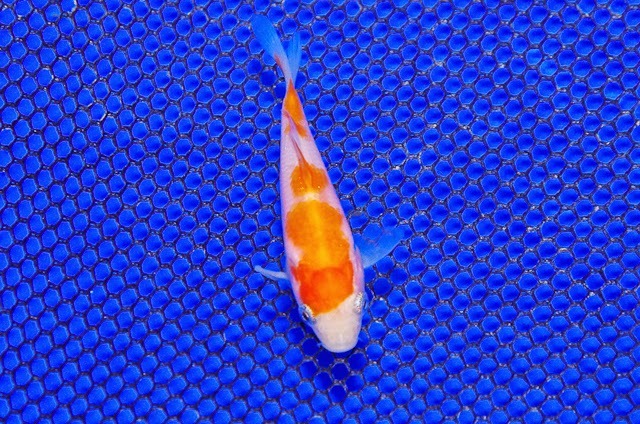 With second selection on the kohaku leaving me with a number of good kohaku and tancho, I am comfortable about how the year has gone and any further fry will just enhance the end of year wrap up.